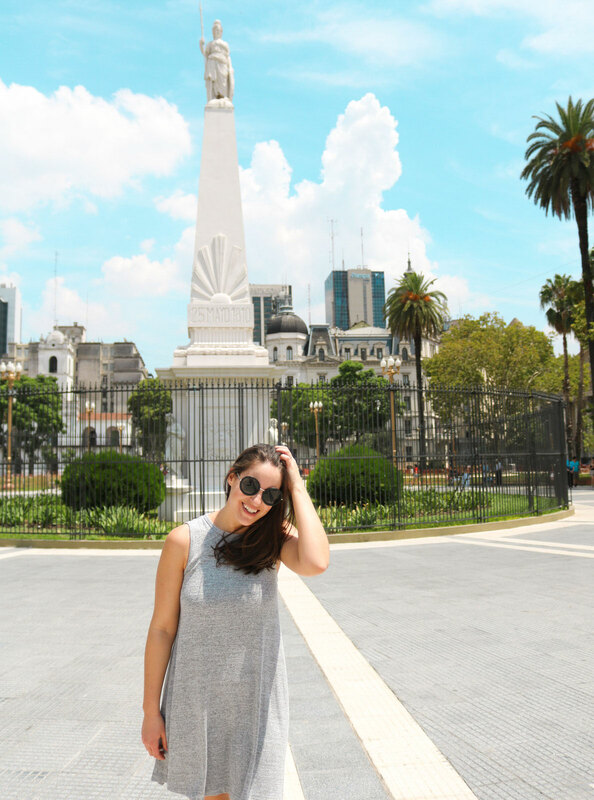 We finally had the chance to add the beautiful city of Buenos Aires to our checklist. Let’s say that, after all these years of dreaming of visiting Argentina’s capital city, we were pretty excited to be setting foot in this country. During the past years, we’ve talked with our friends and family about our desire to visit this country and we also listened to their advice and recommendation. Now that we got to live the complete experience, it turned out that some of their recommendations did not apply, probably because Argentina changed so much a bit in the past few years! Here’s a rundown of what you should know before visiting Argentina, to help you prepare for your next trip. We heard many times that we would have to be really careful when visiting Argentina. That we should leave our valuables at home, such as our computers, iPhones, and jewelry. We packed our old iPhones, left my computer at home, and packed only the bare minimum for my camera. I also made sure to leave my engagement ring in a safe place at home and to take off any other high-end jewelry. I would say that people were right to warn me about traveling to Argentina with jewelry. I rarely, if not at all, saw Argentinians wearing jewelry and even less wearing precious stones. Leaving mine at home was a good call! However, as for electronic accessories, I think that the advice made total sense a few years ago. As of today, never once did I felt unsafe of carrying my iPhone around and I do think I would have been fine if I had brought my computer. Keep in mind that you need to be careful. Keep your phone in a secured pocket (you know the one with a zipper) and leave your computer in your bag when unused. Still, do not wander through the city carrying them as if it was a basket of fresh pastries. Being mindful is the key! Oh my God! The dulce de leche is to Argentina what is maple syrup to Québec. You can find it in almost every dessert, and it’s so good! Its taste has nothing to do with the dulce de leche you buy in Canada which is more like Scottish caramel than true dulce de leche. It’s in everything; dulce de leche croissants, dulce de leche brownies, dulce de leche cookies, dulce de leche macarons, dulce de leche cakes, dulce de leche custards…You name it! It’s the special ingredient that makes each of their desserts so delicious. If you have a sweet tooth, you need to visit this country! In Buenos Aires, you can find pastry shops pretty much on every street corner! It’s like a dessert wonderland – with more desserts than I have ever seen! Your taste buds will thank me later! It’s always my first concern when visiting a new country. Can you drink tap water in Argentina, more precisely, in Buenos Aires? It’s a pretty tough question to answer. I did a lot of research on the topic and it says that, generally, you can drink Buenos Aires’ tap water… BUT its high ammonia level can make it difficult for Americans to digest. If you want to be on the safe side, you should drink bottled water. However, if you are out of options, know that drinking tap water is safe. I swallowed a sip every now and then while brushing my teeth and everything went fine! TAKE GOOD CARE OF YOUR PESOS! They warn you every time you read something about Buenos Aires. Many taxi drivers have the brilliant idea of exchanging your big bills for counterfeit bills. You should always have small change on hand. Also, make sure not to bring all of your cash with you, only take what you need. Leave the rest in your hotel’s safe locker and make sure that whatever amount of money you’re traveling with is always kept in a secured pocket. Also, you will see lots of Cambio in the streets. A Cambio is a place where you can exchange your money. Don’t go there. It’s better to exchange your money at a real bank. It took us a couple of days to figure this one out! Each book we read about traveling to Argentina were recommending bringing American dollars. Once we were there, neither restaurants, taxis nor shops would accept our American dollars. We were always stuck with it. After a few days, we understood why they did recommend that. At the bank, it will be easier for you if you bring American dollars to exchange it for Argentinian pesos. Many ABM have a small cash limit when withdrawing money and their exchange rate is very high. It can become expensive and you don’t want to spend your vacation at the ABM exchanging money. 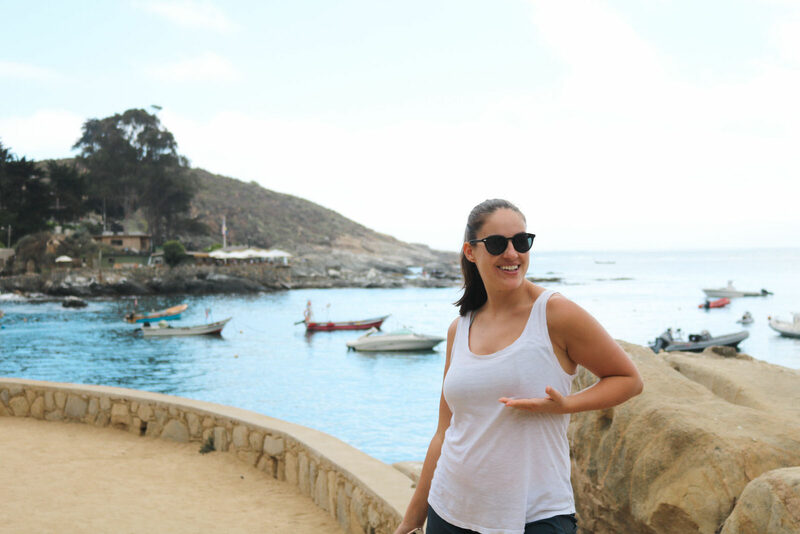 You should start your trip with a good number of pesos for when you can’t pay with your credit card and have a backup of American dollars that you can change into pesos whenever you need it. A SUBWAY RIDE ONLY COSTS CAD$0.55 ! That’s right! Taking the subway only costs 15 pesos, which is a whole CAD$0.55! You will need to buy a metro pass at the cost of 65 pesos. Then, you charge it with the amount you want. Fun fact, you can also use your subway pass for more than one person, only needing to charge the same amount of passes according to the number of persons using it. Taking a taxi in Argentina is pretty cheap! To give you an idea, a 1-hour drive – from the airport to our hotel in the Palermo neighborhood – cost us USD$32. The same ride would have cost us more than CAD$120 in Canada! In the city, we were often able to pay less than CAD$5 per taxi ride. It’s worth it when the subway doesn’t connect to your destination or when the jet lag hits you and you get overly tired.